TOP class international boxing is coming to Wales this spring when the British Lionhearts take-on the French Fighting Roosters in the World Series of Boxing (WSB) on Saturday 14 April 2018 at the Newport Centre. Three time European Champion (2011, 2015 and 2017) and world championship medallist (2013, 2015, 2017), Joe Ward of Ireland, and 2016 GB Boxing Champion, Cyrus Pattinson, have been confirmed in the Lionhearts team that will compete on the night. 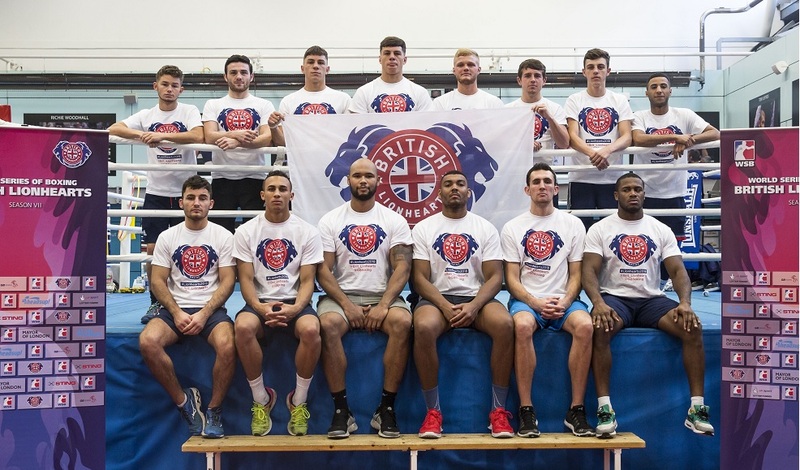 The British Lionhearts squad that competes in WSB is made-up of boxers from the GB Boxing Olympic squad along with a number of overseas selections, including Ward. WSB is a global team boxing competition contested by the world’s leading amateur boxers. It bridges the gap between Olympic and professional boxing and boxers compete without vests or headguards over five three-minute rounds. A WSB match is contested over five bouts and the team that wins three or more is the winner. Early bird discount tickets for British Lionhearts vs France Fighting Roosters at the Newport Centre on Saturday 14 April 2018 are on sale now, priced £16.50 (including booking fee), at www.gbboxing.org.uk/tickets. The British Lionhearts’ Head Coach, Rob McCracken – who is also the Performance Director of GB Boxing and the coach of IBF, WBA and IBO world heavyweight boxing champion, Anthony Joshua – said: “WSB is a top class competition. All of the leading nations and the best boxers take part in it and WSB shows feature five, evenly matched, high quality bouts. Hosting a WSB match in Newport is part of a decision by the British Lionhearts to move the team out of London and around the country for the group stages of the 2018 season. The other matches will be in Gateshead in February and Liverpool in March. Matt Holt, Chief Executive of GB Boxing, which oversees the British Lionhearts team, explained: “We have made the decision to move the team around the country so that more boxing fans will have the opportunity to experience WSB and see boxers from their hometown competing in this format.